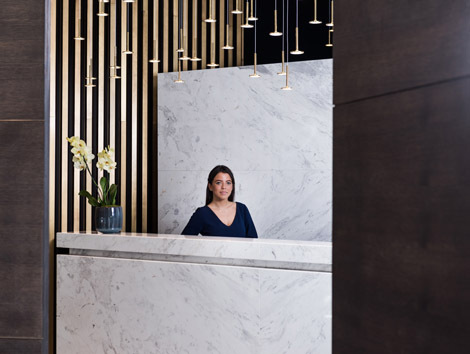 A new business club has opened on the corner of Berkeley Square in London’s Mayfair. 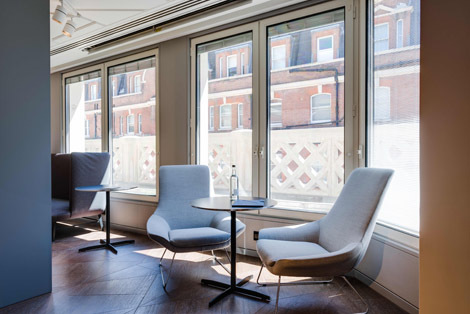 The five-floor 12 Hay Hill has 25 high-spec serviced offices and 11 meeting rooms with break-out spaces on each level. Most offices accommodate six desks but tenants can reconfigure them to suit their requirements. All have natural light and there is free wifi throughout the building. The smallest office costs £7,500 per month. “Corporate” members have minimum 12-month contracts with desks costing £1,250 per month. “Individual” membership costs £100 a month for those based overseas or £150 a month for locals (plus a £500 joining fee). 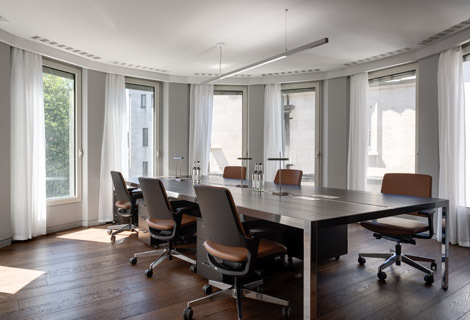 On the fourth floor is a Club lounge for relaxing or hot-desking with floor-to-ceiling windows, two meeting rooms, contemporary artwork on the walls, Italian furniture and a bar. There are showers on three floors. Both Corporate and Individual members also benefit from rotating exhibitions, wine tastings, masterclasses, talks and special rates at Browns hotel, Gentlemen’s Tonic salon and Matt Roberts training centres. The club also has a gym on-site. Opening on July 30 will be 80-seat, ground-floor restaurant the Dining Room, headed up by Michelin-star chef Shaun Rankin. Open all day, it will offer a British seasonal menu that will change regularly. 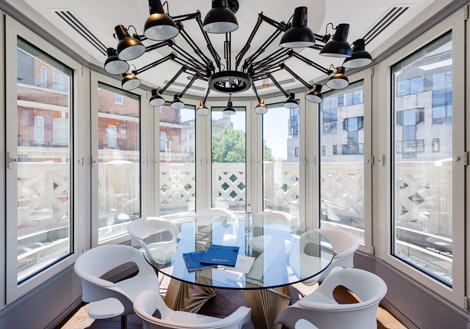 There is also a private dining room for 12 people, a 60-cover roof terrace on the second floor overlooking Berkeley Square, and a bar/deli on the lower ground floor. Rankin will oversee the food and beverage across the property, including room service to offices. The club is open 0700-2330 for Individual members and 24 hours a day for Corporate members. Guests will be welcomed.